Little Waldorf - Reno's most historic restaurant. Join us for social hour nightly from 9-10pm for games, friends and fun. Enjoy select $1.99 drafts by the glass, $1.99 well cocktails and late night munchies! We're open everyday from 11AM until we're done having fun. So come and be a part of tradition! Little Waldorf, backing the Pack since 1922. Reno's most historic restaurant. Featuring forty-five varieties of hand crafted beers and premium only spirits! Visit us for lunch or dinner and sample new, taste-tempting fare from the grill or smoker. 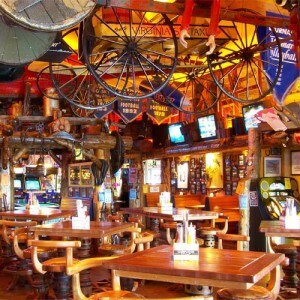 We offer delicious 1/2 pound burgers, slow smoked Nevada Bar-B-Que, crisp salads, and world famous pizza. 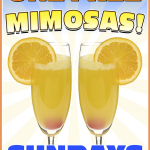 Open daily at 11AM and 10AM on Sundays during football season. Closed for Thanksgiving & Christmas Day. Highlights of Ryan and Ashley's Wedding at UNR Baseball Field & the Little Waldorf Saloon. 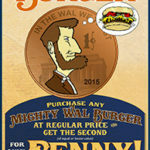 Get a Burger for a penny! 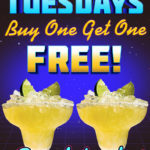 Buy any cocktail and get one FREE.